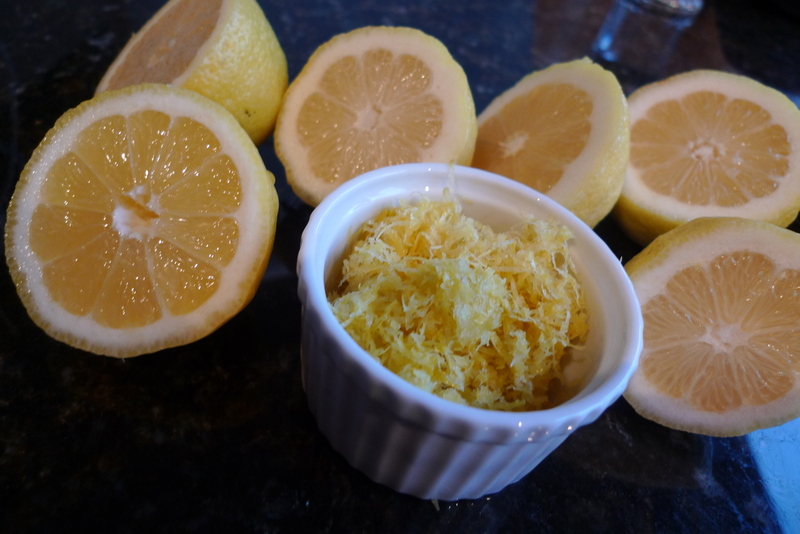 When I haven’t seen the sun in days, I need to make something bright to remind me of the sun, thus lemon bars. They are cheery, tart and create happiness like a good dessert should. They remind me of tulips, birds chirping, and that trees do indeed get leaves, and I am able to tell myself, “spring will be here soon…spring will be here soon…” Ugh, it has to be. 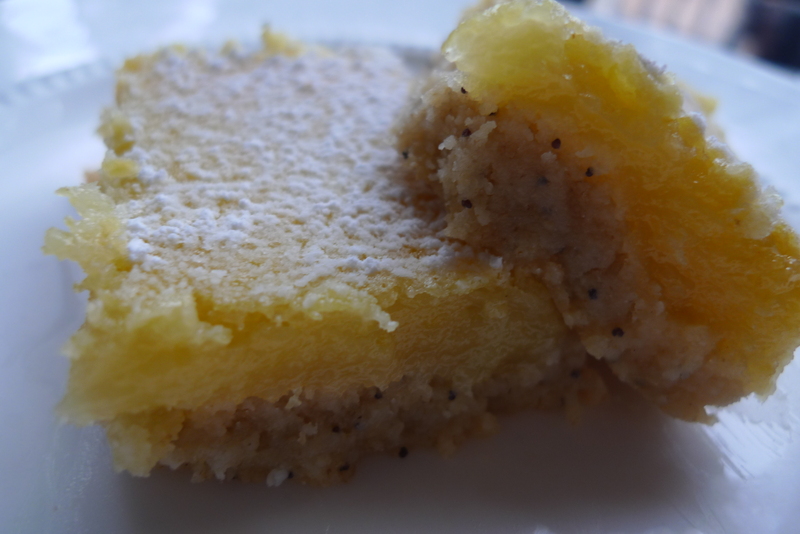 The great thing about lemon bars is they are refreshing. It’s like having lemonade on a summer day…but instead it’s having a baked treat on a not so warm day. Same effect. Smile inducing. I used a combination of whole wheat pastry flour and all-purpose flour because I like to add a lil whole wheat where I can. You can most definitely use all all-purpose flour. 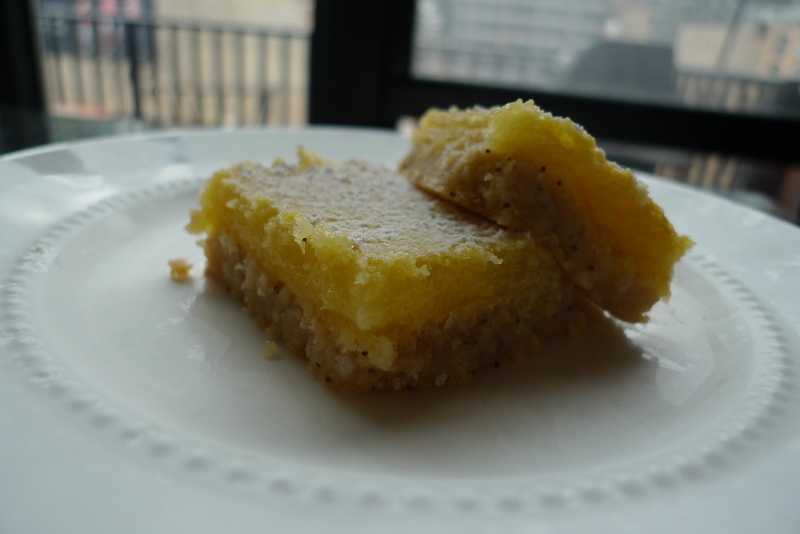 And while lemon Bars can’t give you a tan, they can make you envision sunnier days head. Preheat the oven to 350 degrees. With a hand mixer, combine the butter and sugar until light and fluffy. On low speed, slowly add the flour, salt, and poppyseeds. Put the dough onto a floured surface and create a ball. Flatten the dough (easier with floured hands) and press it into a 9 X 13 inch baking dish – can be glass, aluminum, ceramic, etc. Build up a small edge on all sides. Bake the crust for 15 to 20 minutes, until very, very lightly browned. Let cool and leave the oven on. For the filling, whisk together the eggs, sugar, lemon zest, lemon juice, and flour. Pour over the crust and bake for about 30 minutes. The filling should be set. Leave the bars to cool. Once bars are cool, cut into squares and dust with confectioners’ sugar by using a sifter. These lemon bars sound extremely delicious. Thanks for sharing!